Director Bryan Singer announced the fan-favorite character's casting via social media. Psylocke, aka Betsy Braddock, first appeared in 1976 in the pages of UK's Captain Britain #8, then was later re-introduced into the X-Men franchise in 1986. The character has gone through a lot of changes over the years, with powers including telepathy and telekinesis, as well as this whole thing where she was brainwashed and physically altered into a badass Asian assassin. Yeah, you know, comic books. 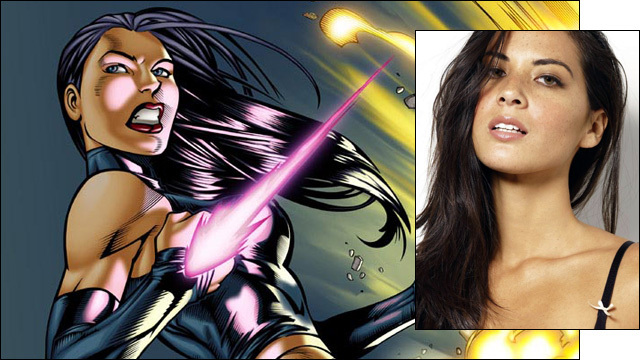 She's kind of a fan favorite mutant, although she hasn't much screen time across the various X-Men movies. The character briefly appeared as one of the villains in 2006's X-Men: The Last Stand, played by Mei Melançon. I'm interested in seeing what kind of role Psylocke has in Apocalypse, considering the cast is pretty darn massive and there are already like 47 characters to service.